Prime accused in the murder of seven-year-old Ryan International School student, Pradyuman Thakur's, on Monday told a special CBI court that he was forced by the police to confess to his crime. The news came in on a day when the Gurugram school finally reopened 10 days after the brutal murder that had triggered widespread outrage against the school authorities for ignoring children's security. Police said on Monday that several security lapses were found at the school during a safety audit. To address the safety concerns, the school will remain closed till Friday while classes will only resume from 25 September, Gurugram Deputy Commissioner Vinay Pratap Singh told ANI. According to India Today TV, Kumar, who was a bus conductor in the school, also alleged that he was beaten up while he was in custody. Last week, the police had arrested the school bus driver and detained nine school staffers. 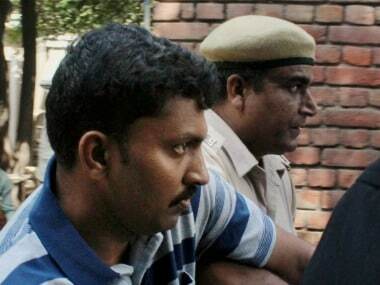 Kumar's lawyer Mohit Verma also told The Times of India that he was being made a scapegoat in the case. "Ashok was tortured, beaten with sticks and forced to confess. He did not murder Pradhyuman, but cops and school made him a scapegoat in this case," said Verma after meeting Kumar in Bhondsi jail. This comes a week after the bus driver had alleged that the accused and he were being forced to confess and give statements according to the police's narrative. "Since I am the driver of the bus in which Ashok Kumar (the main accused) was a conductor, I was interrogated by police officers and top officials of the school. They forced me to admit that the weapon of crime (knife) was part of the bus tool kit. They detained me till 1.30 am on Saturday and tried every possible way to terrorise me. Since the knife was not part of the toolkit, I categorically denied it," India Today quoted the driver as saying. The driver also said that officers threatened to apply third degree on him if he did not admit that a knife was part of the bus tool kit. "There was the principal, three teachers and some top school officials present along with the police officers on the campus. Officers in civil dress threatened to apply third degree on me if I did not admit that the knife was a part of the toolkit. I inspected the toolkit just a day earlier and I am 100 percent sure that the knife was not part of the toolkit," he told ANI. Following Pradyumn's death, the government ordered a CBI inquiry after his father Varun Chandra Thakur moved the Supreme Court. Pradyumn, a class II student was found dead with his throat slit inside the school's washroom within an hour after his father dropped him at school on 8 September morning. The case snowballed into a major national issue of safety and security of children in schools, with vociferous protests held by parents and activists outside Ryan schools in several states.